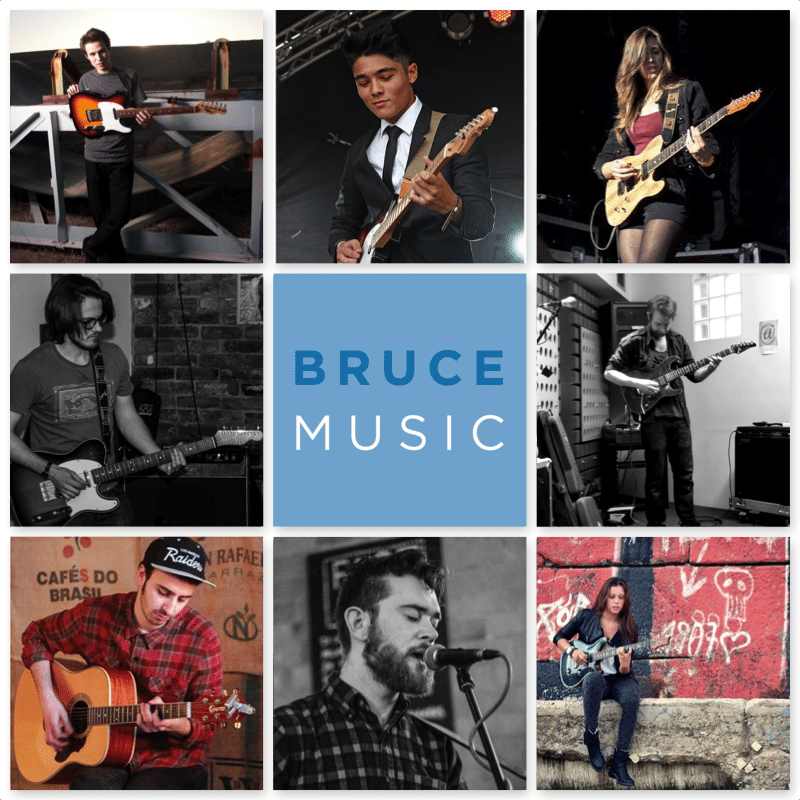 Guitar Lessons East London with Bruce Music. We provide guitar lessons in East London for students of all ages and abilities. We have a small dedicated team of guitar teachers working across East London who can visit your home, office or your preferred East London location. You can also have your guitar lessons at one of our guitar teachers’ home teaching spaces if that’s more suitable for you. Whether you’re a beginner, intermediate or advanced level guitarist our teachers will be able to support your progress and help you reach your guitar playing goals. Our East London guitar lessons are tailored to your specific needs, to ensure you can progress at your own speed. Our guitar teachers are all virtuoso musicians and will be able to share the tips and techniques you need to become a better guitar player. All of our East London guitar teachers are supportive, experienced musicians, and of course DBS checked to ensure your safety. Your guitar teacher can visit you at home, at your office or at an East London location of your choice. 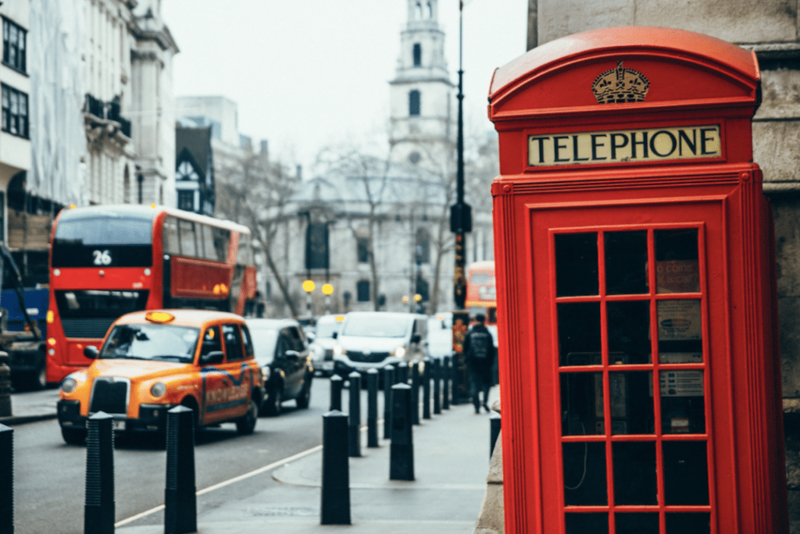 Our team of guitar teachers each cover a different area of East London which ensures you can easily visit their home teaching space if you’d prefer to visit them for your guitar lessons. Our East London guitar lessons are designed with you in mind. We make sure our lessons are tailored to the individual needs of our students to make sure they are accessible to everyone no matter their age or ability. Our East London Guitar teachers will make your guitar lessons fun and progressive ensuring you are supported as you work towards your guitar playing goals. We work with students of all ages and abilities. Beginner guitarists there’s no need to worry! Our guitar teachers will be able to show you the techniques you need to further your playing abilities. Our East London guitar teachers will make sure you feel supported and teach you at your own pace. They’ll cover all the basics of playing the guitar, from tuning your guitar, to your first chords, until you’re ready for that first guitar solo! Our East London guitar teaching team is made up of friendly, enthusiastic, skilled guitar teachers. All of our East London guitar teachers are highly experienced guitar teachers and are also professional musicians who have a depth of industry knowledge and teaching experience. They’ll be able to make sure you enjoy your lessons and learn a lot at the same time. All of our beginner lessons are tailored to suit your individual needs. Whether you’re starting from scratch or you know a few chords, our East London guitar teachers will be able to help you reach your guitar playing ambitions. It’s important to get the basics right when you’re learning a new instrument. With our beginner guitar lessons, you’ll learn the very best techniques from the start giving you the best chance of becoming an expert guitarist. Our East London guitar teachers will support you through your journey, they’ll have you playing your favourite song in no time. Our intermediate guitar lessons are designed with you in mind. All of our guitar lessons are tailored to meet the needs of our students to make sure they get the most out of their guitar lessons. We often find that intermediate guitar players can get lost or stuck in a rut with their playing. Our East London guitar teachers will be able to help you overcome any stumbling blocks you may be experiencing. They’ll be able to show you new styles and techniques to help you develop your guitar playing. We only hire the very best guitar teachers who will support you, teach you new skills and make your lessons fun! As soon as your guitar teachers know your personal goals they’ll be able to help with numerous aspects of playing the guitar including, soloing, sight reading, songwriting and much more. Often advanced guitarists can feel as though they’ve reached their limit and there is nothing left for them to learn. All of our East London guitar teachers are working musicians with years of industry and teaching experience. Our East London guitar teachers will be able to challenge and support even the most advanced guitar players with their vast knowledge and experience. 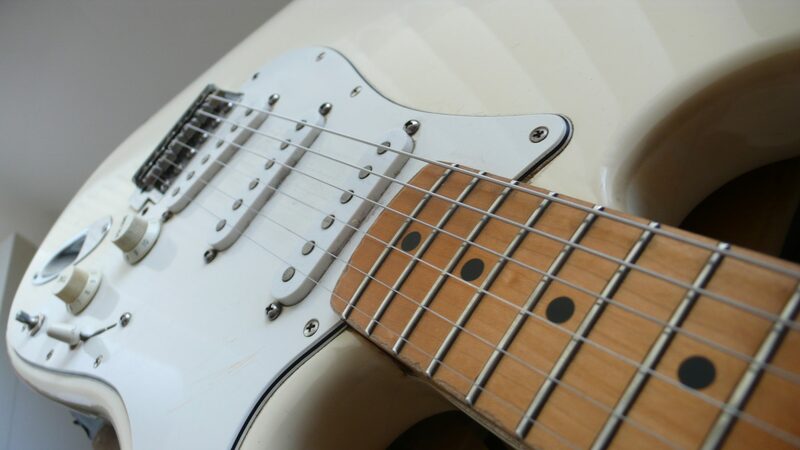 As with our beginner and intermediate guitar lessons, our advanced guitar lessons are also tailored to the individual goals and ambitions of our students. Depending on your own ambitions, your advanced guitar lessons may consist of improvisation, advanced jazz, modes and a great deal more. We tailor all of our East London guitar lessons to your needs. A lot of our students are working towards their grade exams, their GCSE/ALevel exams or an important audition. All of our East London guitar teachers can tailor your lessons to help you prepare for your next challenge, including grades with all exam board, GCSE and A Level Music exams, live performances, audition, record label showcases and more. Music and London go hand in hand. 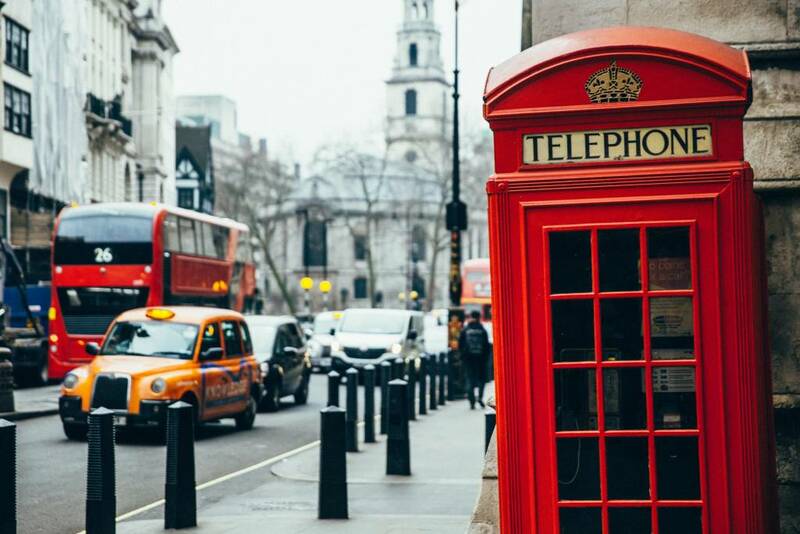 There are so many great musicians and guitarists who were born in London including, Slash, Brian May, Elvis Costello, Cat Stevens and so many more. London has a long musical history and even today continues to be the epicentre of the music industry within the UK. There is so much music to be enjoyed in East London. The area is known for its quirky nightlife, with bars and clubs hosting the best talent in London. There’s always music to be enjoyed in East London regardless of your taste. From ‘Birthdays’ in Stoke Newington to the Hoxton Pony or the Hackney Empire there is a unique venue on almost every corner. East London is also home to so many fantastic music festivals including Field Day and All Points East – An East London music festival lasting 10 days, including four days of community-driven entertainment from comedy, film screenings and tasty street food. You can also make the most of the many open mic nights held in East London. Why not go and enjoy the open mic night at Apples and Pears? You’ll get to see the great local talent on offer and may even feel inspired to try it yourself in the future with the help our of your East London guitar teacher. To get started with your musical journey, contact us to arrange your first East London guitar lesson. Call or email Alex directly on 07749 918 143 / alex@brucemusic.co.uk or complete the contact form below. We exclusively hire the best guitar teachers in East London. It’s important to us that all of our guitar teachers are both experienced in teaching and working as a musician. We want to make sure you love your East London guitar lessons from the start! We also ensure you receive the best possible levels of customer service and a tailored offering. We provide guitar lessons in East London and the surrounding areas including Hoxton, Hackney, Stoke Newington, London Fields, Whitechapel, Stepney, Stratford and more. Bruce Music was launched in London by Alex over 6 years ago. A seasoned musician, Alex set up Bruce Music to provide high quality guitar lessons with a focus on great customer service. Alex now works with his team of extremely talented guitar teachers, each covering a different area of London, ensuring you have access to top quality teachers no matter where you live in East London or the surrounding areas.